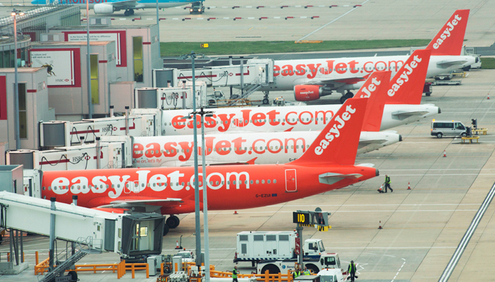 With the addition of new flights to its ever-expanding schedule budget airline easyjet has revealed that it has 700 routes for sale for the first time in its history. The 19 new routes from UK airports are already on sale, and will add an extra 390,000 seats across the airline’s network. Routes from Luton Airport starting in the autumn are as follows: Basel (November 7th), Munich (November 3rd), Naples (October 29th). Commenting on the new routes, Sophie Dekkers, easyJet’s UK Director said: “We constantly review our network to ensure we offer the best choice of flights at the right price for our customers and with more than 700 routes to choose from our customers will always be able to find somewhere new to explore. “The nine new routes, including those to Naples, Basel, Munich and Reykjavik, will enable thousands of passengers to take advantage of easyJet’s low fares and friendly service to reach these unique and individual cities. “We’re really excited to be launching Ireland’s only direct connections from Belfast International Airport to Reykjavik from 12 December 2014. This will bring the number of easyJet flights to Iceland up to 26 a week and we’re confident that all of our new services will be very well received.” Operating twice weekly the route is the only direct scheduled flight between Ireland and Iceland, and comes at a time when tourism to Iceland has leapt by 40% over the last two years.